Take a break from the city and head to Hanauma Bay Nature Preserve and Diamond Head State Monument. 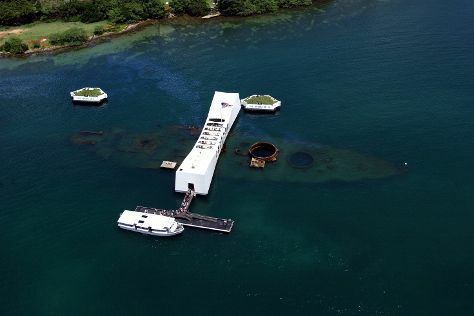 Get a sense of the local culture at USS Arizona Memorial and Battleship Missouri Memorial. Change things up with these side-trips from Honolulu: Sunset Beach Park (in Haleiwa), Kailua Beach Park (in Kailua) and Polynesian Cultural Center (in Laie). And it doesn't end there: tour the pleasant surroundings at Waikiki Beach, look for all kinds of wild species at Wildlife Areas, appreciate the history behind Queen Liliuokalani Statue, and take in the dramatic scenery at Manoa Falls. To find photos, other places to visit, more things to do, and other tourist information, read Honolulu trip itinerary builder site . In February in Honolulu, expect temperatures between 81°F during the day and 69°F at night. Finish up your sightseeing early on the 18th (Mon) so you can travel back home.